The International Movement for Monetary Reform (IMMR) gathered members from across the world for its annual meeting on the 22-24th March 2019. 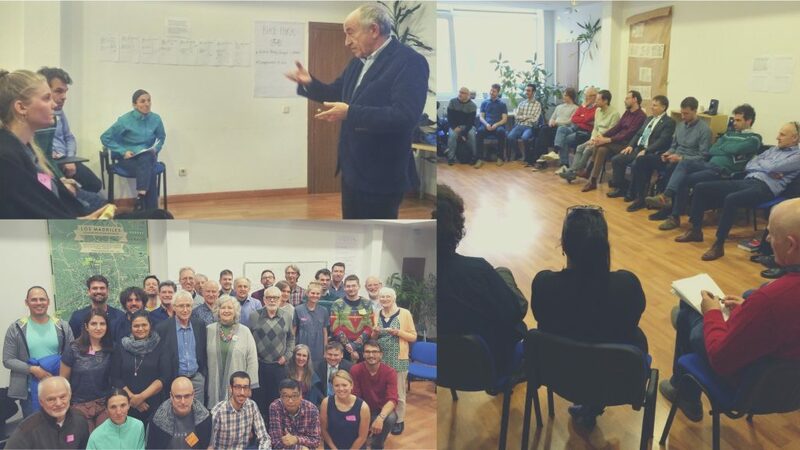 This year the meeting took place in Madrid, Spain, where we enjoyed a blue sky and spring-blooming, although most of the time was spent indoors listening, sharing and discussing. We started the meeting in a circle where we got to know each other and agreed on an empathetic, respectful, solutions-focused and humorous meeting culture. After settling in, we continued with each group presenting their key achievements since the last meeting, their challenges, needs and thoughts about coming steps forward and heard inspiring stories of success from various countries. Afterwards we continued with short 5 minutes presentations of all kinds ranging from research to campaign strategy and to communication ideas. We heard from Rachel (UK) about studies on how to talk about and frame the economy in a way that makes is accessible for more people. The Swedish group proposed a stabilizing strategy for deleverage after implementing sovereign money and the US group gave us a glimpse of their work with stories as a tool for a creative introduction to money and how they work. We also heard about a successful meeting of different money reform movements in Germany and Joseph Huber presented a strategic outlook with emphasis on digital currency as a Trojan horse for monetary reform. Ons Geld from The Netherlands gave us a summary of the report Money and Debt by the Dutch Scientific Research Council and the following debate in The Netherlands. They emphasized the possibility of a public depository offering full reserve accounts. Overall it was a very intense and inspiring session full of bright ideas and experience-sharing. After long journeys and many of us not used to Spanish dinner times, we completed Friday on a Spanish Tapas bar before a good nights sleep. We kicked off Saturday with the managing core group reminding us about the history and purpose of IMMR. They presented the key achievements of the last year, which included the funding to hire a coordinator, new members from Turkey, Slovenia and the US, big progress in discussions and research regarding how the IMMR can best become a legal entity and the release of the new board game Money Maker. Take a closer look or buy the game here: www.moneymaker.games. We also had the honor of a presentation by the former governor of the Bank of Spain, Miguel Ángel Fernández Ordóñez. He supports our ideas regarding monetary reform and underlined the costs of the present monetary system. He suggested a step-by-step change of the current system similar to what Joseph Huber argued. After this very interesting input we continued talking and listening over a tapas-like lunch. After lunch, another session of workshops and a few Spanish snacks, the core group presented and facilitated a discussion of plans on how and why the IMMR should become a legal entity in the form of a Dutch Stichting, as this is relatively uncomplicated and the Dutch group could do the administration for us. Saturday night culminated in a dinner with wine and interesting conversations at a local restaurant. 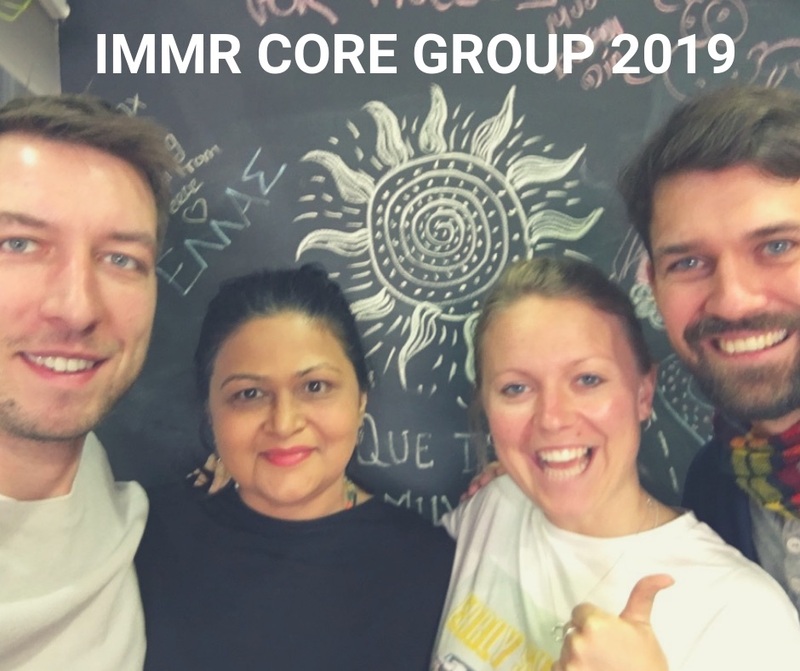 The last day in Madrid was in the name of the IMMR core group election and resulted in a fresh and strong team: Rachel Oliver from Positive Money UK (reelected), Manuel Klein from Germanys Monetative (new), Nishara Rajah Naidoo from South Africa (new) , Bo-Young from the US/Canada (new) and Jonas Jensen from Denmarks Gode Penge (new) . 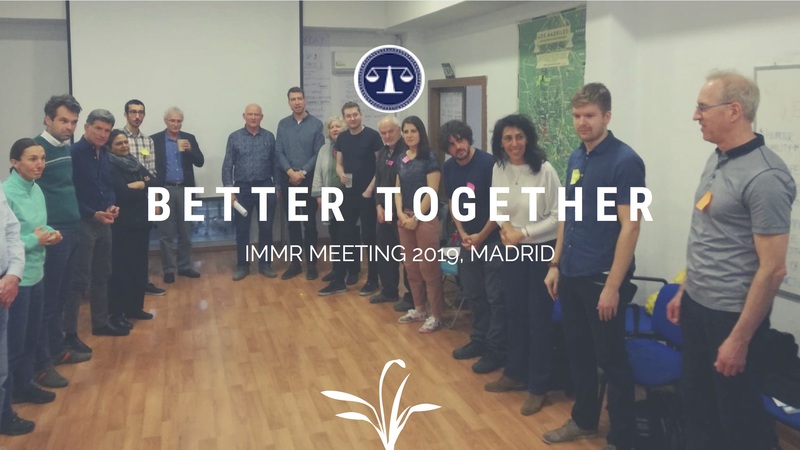 These people are to make decisions about the IMMR’s direction and priorities and coordinate the cooperation between member groups in the following year. Besides the election, we had a very helpful workshop on leadership, where we all jointly detected the core principles and frameworks of leadership. This made us all reflect on how we ourselves can act as leaders and bring about the change we want to see. We all left Madrid more motivated and inspired by all the monetary reform activity in different countries. We hope for a great IMMR year and we look forward to the next annual meeting, where we by collaboration can strengthen our agenda. As Jack Johnson would have said, it’s always better when we’re together.